Unicorns are all the rage these days.  Take a look on Pinterest, and you can find unicorn crafts, unicorn birthday party ideas, unicorn clothes, unicorn jewelry, and of course, all sorts of magical unicorn recipes! 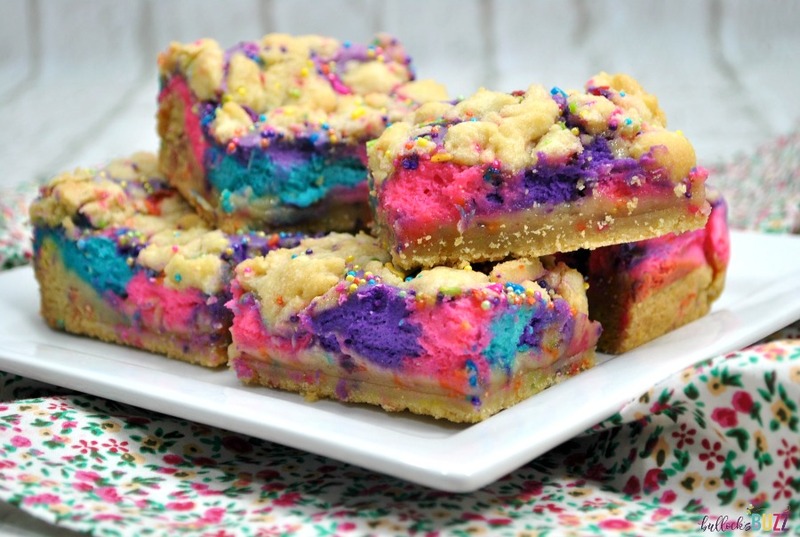 So to join in the fun, today I am sharing these colorful and delicious Unicorn Cheesecake Bars! 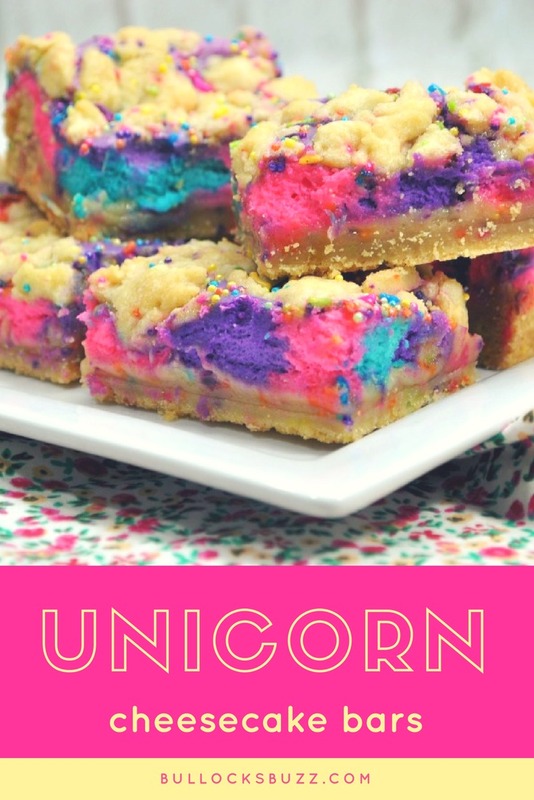 These tasty Unicorn treats are so quick and easy-to-make it’s magic! You only need a few common ingredients and about 30 minutes. 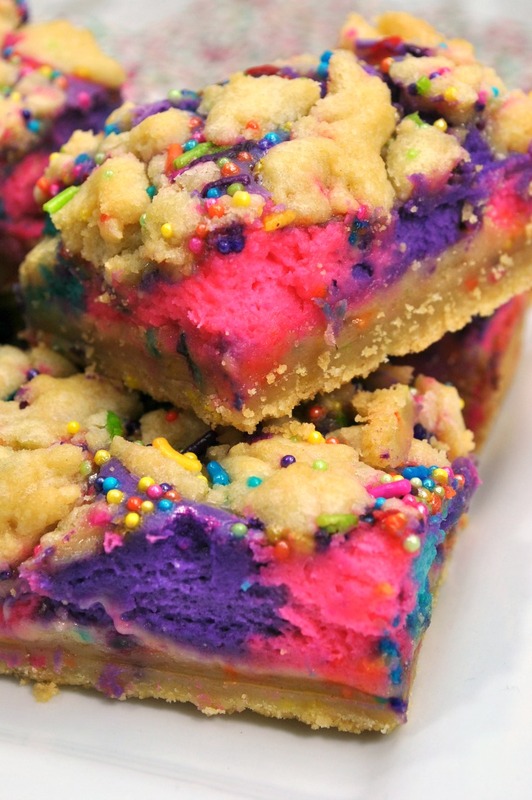 Unicorn-lovers will adore them, and they make a magical unicorn dessert! Ready to see how to make these adorable unicorn cheesecakes? tip – if you prefer a more pastel look to your colors, start by adding very small amounts of the color you want. In a large mixing bowl, whisk together the flour, baking soda, baking powder and salt. Then, in another large mixing bowl, combine the butter and sugar. Beat until light and fluffy, about 2 minutes. Next, add the egg and the vanilla and mix well. Now, add the dry ingredients all at once and mix for 5 seconds. Make sure you mix the dough until the flour is completely incorporated. Add in 1/4 cup of nonpareils into the cookie dough, and combine. Now, using about 3/4 of the dough, flatten the dough onto the bottom of the parchment-lined baking dish and set to the side. Using either a standing mixer or a hand mixer, cream together the cream cheese and sugar. Add the eggs one at a time, beating each one until completely combined before adding the next egg. Next, stir in the sour cream and the vanilla, and mix until combined. Now, divide the batter into 3 separate bowls and add a few drops of each food coloring into each one until you reach the desired color. Make sure you mix each one thoroughly. Once mixed, spoon 1 tablespoon at a time of each color onto the cookie dough bottom until all the batter has been added. Then, take the remaining cookie dough, crumble it on top of the cheesecake batter and then follow with a sprinkle of some more nonpareils. Once timer goes off, turn off the oven and crack the oven door open to release the heat. Then place the bars into the fridge to cool for a few more hours or overnight before enjoying. Don’t they look amazing? I love all of the bright colors! 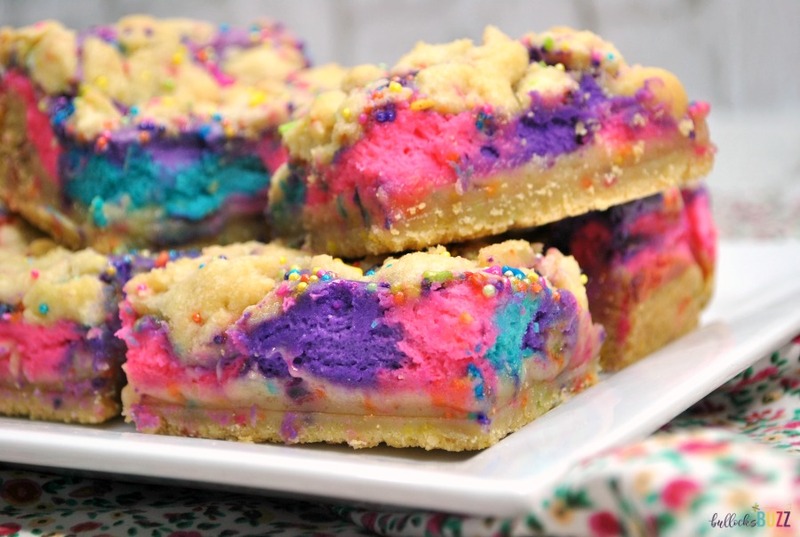 Where will you serve these colorful unicorn cheesecake bars? Mix in 1/4 C of the nonpareils into the cookie dough. Using 3/4 of the dough, flatten dough onto the bottom of the baking dish and set aside. Using a standing mixer, cream together the cream cheese and sugar. Split batter into 3 bowls and add a few drops of each color into a bowl. Spoon 1 tablespoon of each color onto the cookie dough. Using the remaining cookie dough, crumble it on top of the cheesecake batter and sprinkle some more of the nonpareils. Once timer goes off, turn off the oven and crack the oven door open. Then let cool in the oven for 1 hour.